With the development of science and technology, stainless steel products have been widely used in our daily life. The tradional thermal cutting process has the disadvantages of low cutting quality and heat affected zone, which will greatly impact the appearance of the products. Waterjet cutting technology is able to provide a turn-key cutting process with precise cutting quality and no thermal distortion. In the current dynamic business circumstance, forward thinking is critical to maintain competitive. 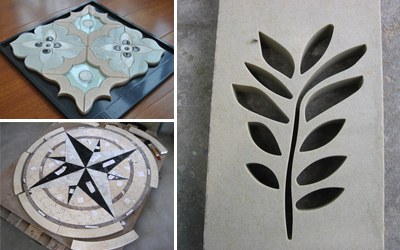 The user friendly waterjet can efficiently save processing time for stone and manufacturers. Abrasive waterjet can cut any stone and tile without the need to charge the cutting tools. Because composites are not homogenous materials and are reinforced for greater strength, cutting composites are always considered to be a tough work. 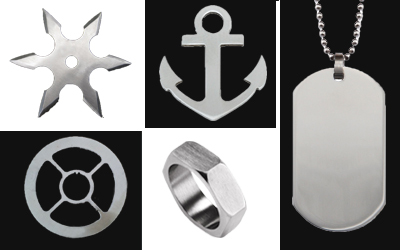 As a non-contact cold cutting process, waterjet does not produce heat-affected zones or leave rough edges and burns. High pressure waterjet can cut the composites in a fast speed. The abrasives added in the cutting also have grinding function which will make the cutting surface smoother, cleaner and more accurate. Therefore, waterjet is the best choice for composite cutting. 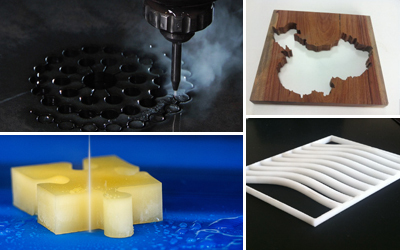 Waterjet is widely used in glass industries of home appliance, automobile, bathroom and architechtural decoration. 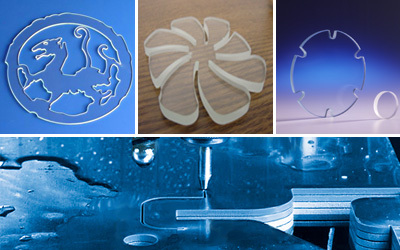 There is no problem using waterjet to cut holes and other complex shapes on glass. From artistic tabletop inlays to detailed stained glass designs, a lot of customers have found the advantages of multi-function and cost saving by using waterjet.